To determine the influence of neoadjuvant chemoradiation and standardized dissection of the superior mesenteric artery upon the oncologic outcome of patients with localized pancreatic adenocarcinoma. One hundred ninety-four patients with pancreatic adenocarcinoma who underwent pancreaticoduodenectomy between 2004 and 2008 were evaluated. The retroperitoneal dissection was performed directly along the superior mesenteric artery in all cases. A standard histopathologic protocol that measured the “superior mesenteric artery (SMA) margin distance” between cancer cells and the superior mesenteric artery was employed. Seventy-six percent of patients received neoadjuvant chemoradiation. The SMA margin was positive in 4% of patients but an additional 22% of patients with a negative margin had a SMA margin distance of ≤1 mm. Preoperative CT images overestimated the SMA margin distance in 73% of cases. Patients who received chemoradiation had longer SMA margin distances than those who did not. Patients who received chemoradiation and had a SMA margin of >1 mm had the lowest recurrence rates. Administration of neoadjuvant chemoradiation and lower estimated blood loss were independently associated with longer progression-free survival on multivariate analysis. Preoperative chemoradiation and meticulous dissection of the superior mesenteric artery maximize the distance between cancer cells and the SMA margin and may influence locoregional control. We thank Henry Gomez, MD, manager of the Pancreatic Tumor Database at the University of Texas MD Anderson Cancer Center. Dr. Taylor S. Riall (Galveston, TX): I thank the authors for the opportunity to discuss this excellent manuscript and congratulate them on an outstanding presentation. Dr. Katz and colleagues evaluate the effect of neoadjuvant chemoradiation and meticulous, standardized dissection of the SMA margin in achieving locoregional control in patients with potentially resectable or borderline-resectable pancreatic cancers. You demonstrate that neoadjuvant chemoradiation provides a wider margin between tumor and the superior mesenteric artery. In addition, you show improved progression-free survival and locoregional progression-free survival. However, there is no difference in overall survival between the two groups. My main question or concern is the following: the outcomes of progression-free and overall survival were not evaluated on an intent-to-treat basis. How many patients with potentially resectable or borderline resectable pancreatic cancer received neoadjuvant therapy, experienced disease progression or functional decline and never made it to surgery? In other words, neoadjuvant therapy, in part, is selecting a group of patients with favorable tumor biology. In order to more accurately estimate the effects of neoadjuvant therapy on survival and patterns of recurrence you should include all patients with potentially resectable and locally advanced pancreatic cancer who received (or did not receive) neoadjuvant therapy regardless of whether they were ultimately resected, otherwise it is impossible to compare the effect of neoadjuvant therapy to that of resection plus adjuvant therapy. In addition, your study includes borderline resectable patients. The use of neoadjuvant therapy is more intuitive in this group and the study might be cleaner if you just included the potentially resectable patients. Finally, in your manuscript, you refer to a recent autopsy study on patterns of recurrence in patients with pancreatic cancer by Dr. Iacobuzio-Donahue and colleagues. The study finds that pancreatic cancer seems to be represented by to two phenotypes based on Dpc4 status of the tumor. These phenotypes differ, not in their morphologic appearance at diagnosis, but in their metastatic efficiencies, with tumors that are dpc4 positive (or have not lost dpc4 tumor suppressor expression) being much less likely to metastasize. Do you routinely test the Dpc4 status of tumor on your preoperative biopsies or after resection? If so, do you know how many tumors were Dpc4 positive in each group? Do you think that knowing the Dpc4 status would have implications on therapy? For example, perhaps neoadjuvant chemoradiation most greatly benefits patients with Dpc4 tumors, where local control is an issue? Thank you for the opportunity to discuss this paper. Dr. Matthew H. G. Katz: We thank the Society for the opportunity to present our work, and Dr. Riall for her excellent questions. The specific goal of this analysis was to demonstrate the associations, if any, between meticulous surgical technique, preoperative chemoradiation, and long-term oncologic outcome measures among patients who underwent surgical resection. As Dr. Riall appropriately states, we evaluated only patients who completed all therapy including surgery and did not include patients who received neoadjuvant therapy but did not ultimately undergo resection. In past clinical trials of neoadjuvant chemoradiation conducted at our institution, 11% to 46% of patients treated on protocol failed to undergo surgery. Surgical margins and recurrence rates are clearly not applicable to such patients, and therefore we could not evaluate them using the endpoints in this study. We continue to believe, however, that the administration of chemoradiation in the preoperative setting is associated with several important clinical benefits beyond those evaluated as endpoints in this analysis. Specifically, neoadjuvant treatment sequencing assures that all patients who undergo surgery receive all components of multimodality care, targets the microscopic cancer believed to exist in most patients with this disease, and provides a time interval within which to evaluate tumor biology and select patients for whom surgery may be most appropriate. 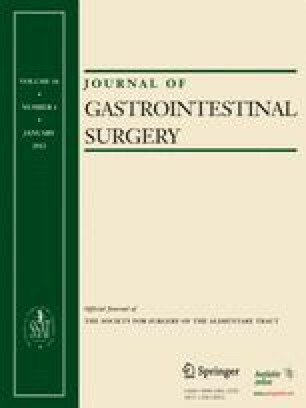 Furthermore, to the extent that we also found a significant association between surgical technique and the distance between cancer and the superior mesenteric artery margin in this study, and given prior data that suggests a survival benefit associated with a microscopically margin-negative resection, our findings suggest an important opportunity for quality improvement regardless of the sequencing strategy employed. In this analysis, we included patients with both potentially resectable and borderline resectable primary cancers. We chose to evaluate both populations given the accumulating interest in the use of neoadjuvant chemoradiation for patients with each of these disease stages. For patients with borderline resectable cancers, in whom tumor abutment of the visceral arteries may otherwise lead to palliative (not curative) care, the administration of neoadjuvant chemoradiation may be particularly critical. Indeed, the recent AHPBA/SSO consensus statement advocates the administration of preoperative chemoradiation to these patients. Unfortunately, little data exist to specifically support this recommendation. This absence of data is particularly notable given the recent enthusiasm for FOLFIRINOX, the efficacy of which may lead some to question the necessity of radiation for patients with borderline cancers. Our data suggest that preoperative chemoradiation has cytotoxic effects particularly at the interface between the cancer and superior mesenteric artery, and provide important support for the use of preoperative chemoradiation in patients with borderline resectable tumors. One of the reasons we have found neoadjuvant treatment sequencing so appealing is that its use facilitates the development of personalized therapeutic strategies that can be individualized to each patient’s physiology, tumor biology and tumor anatomy. In this regard, we would welcome any novel diagnostic test that would assist in therapeutic decision making. Although historically we have not routinely tested the DPC-4 status of each patient prior to or following resection, we are actively investigating its potential role in the care of patients with localized pancreatic cancer.